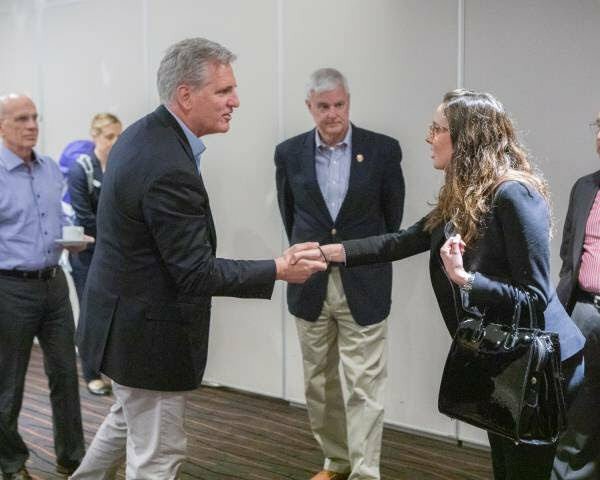 Congressman Kevin McCarthy greets Venezuelan Ambassador Elisa Trotta Gamus during his week-long bipartisan congressional delegation trip. Kevin McCarthy visits a Jewish community center on Sunday during his bipartisan congressional delegation trip to South America. Congressman Kevin McCarthy and his delegation meet with Vice Minister Paola Di Chiaro of the Argentinian Ministry of Defense on Saturday during a week-long bipartisan congressional delegation trip to South America. McCarthy’s first stop was to the capital city of Buenos Aires to focus on defense cooperation, according to a news release. McCarthy and the delegation were greeted by U.S. Ambassador Edward Prado, the release said. A meeting with Vice Minister Paola Di Chiaro of the Argentinian Ministry of Defense also took place, where they discussed ways to address the collective security threats facing the region, the release said. 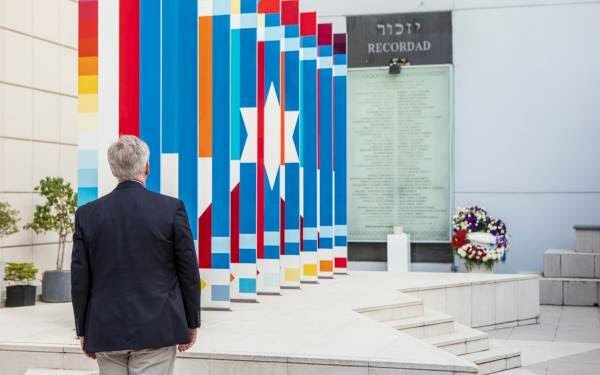 On Sunday, McCarthy and the delegation paid tribute at a Jewish community center called AMIA by lighting a candle and laying a wreath. It is the site of Argentina’s deadliest terrorist attack to date, the release said. More stops will be announced later this week, according to a McCarthy representative.